Art can be one of the most personal and meaningful gifts you can give. 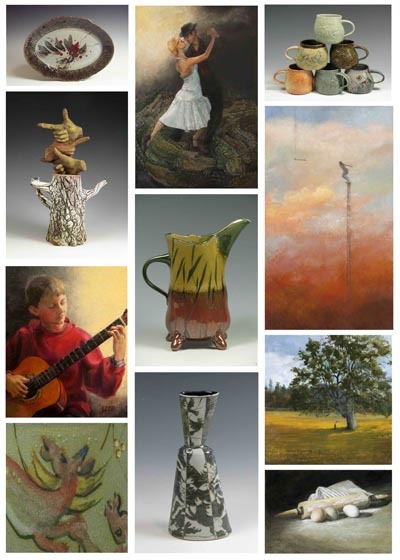 It can also be one of the most challenging because even if you know the recipient would appreciate Dennis and/or Leslie’s work, it can be hard to choose the right piece. 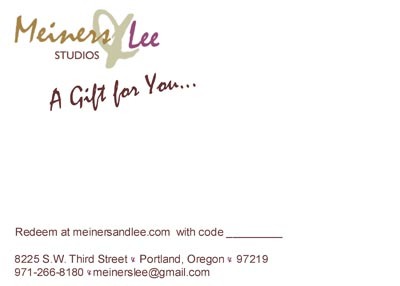 An easy solution is a Gift Certificate which you can purchase in any amount and add a personal message which will be handwritten on a Meiners & Lee gift card. We will mail the card in an attractive envelope or, if time is short, via email. The card will include a credit code to be used at checkout on this site.